Ian Colvin’s The Unknown Courier, the fascinating story of an ingenious espionage deception unsurpassed in wartime history, was re-published by Biteback Publishing in 2016, as a Dialogue Espionage Classics, with a new foreword by Michael Smith, author of Foley: the Spy who Saved 10,000 Jews and The Secrets of Station X. The Unknown Courier was first published in 1953. The body, revealed later to be that of an itinerant labourer, was given the false identity of a Royal Marine, “Major Martin”, and planted with top secret letters that outlined fake plans for the 1943 Allied invasion of Italy. These misled Hitler into concentrating his forces on Greece and Sardinia, rather than on the real Allied target of Sicily. Colvin’s search in Spain spurred the SIS and Intelligence officer Ewen Montagu into swiftly publishing an official account of British Intelligence’s most bizarre operation under the title The Man Who Never Was. The Unknown Courier is a lively account of a journey that took the young journalist into an exotic world of German ex-intelligence officers, Spanish Generals, Seville flamenco dancers, and even a frogman pathologist specialising in drowned bodies. Colvin’s other books connected with the Second World War include Chief of Intelligence, Flight 777, Colonel Henri’s Story, Vansittart in Office, and The Chamberlain Cabinet. 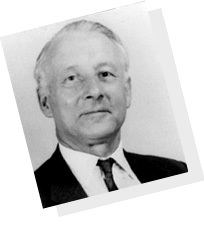 During the 1950’s and 1960s Colvin worked as foreign correspondent in Africa and the Middle East for the Daily Telegraph. At the time of his death in 1975, he was the Telegraph’s chief leader writer and roving foreign correspondent. ‘This is the story of a quest for a corpse buried secretly in a strange place under a false name. You would think that a murder had been committed. Surprisingly it was His Majesty’s Government that arranged the affair. How was it that I came to be searching for that corpse, without knowing the rank or the name of the man, without even knowing where his grave was, or the date of his burial?